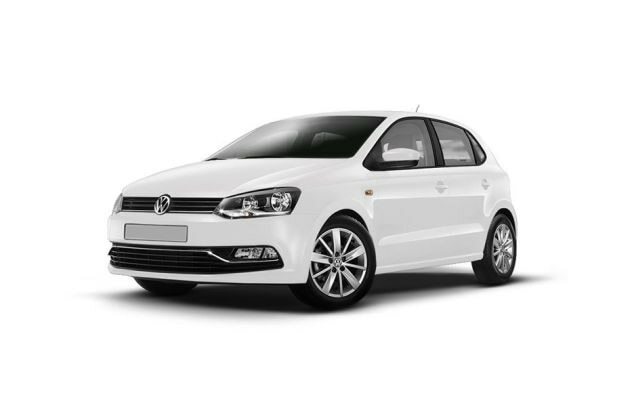 The German auto major Volkswagen has a number of splendid vehicles in their stable, out of which, Volkswagen Cross Polo 1.2 TDI is is doing quite well in the market. This compact crossover comes with a lot of sporty elements and is perfect for the car enthusiasts, who prefer sporty and aggressive looking vehicles. It is offered with a 1.2-litre TDI diesel engine, which comes with a displacement capacity of 1199cc. It has the capacity to churn out a maximum power of 74bhp and 180Nm of torque output. The company claims that with the help of CRDi fuel supply system, this vehicle has the ability to return a maximum mileage of 22.07 Kmpl (as certified by ARAI) on the highways, which is quite good for this segment. It comes with a 45 litre fuel storage capacity. The exteriors comes fitted with 'Cross' grille with chrome accents, front and rear 'Cross' bumpers with silver accents, silver roof rails and ORVMs and stylish 'Cross' decals on the rear doors. Currently, it is available in three exterior paint options, which include a Flash Red, Reflex Silver and a Deep Black Pearl metallic finish for the buyers to choose from. On the other hand, the internal cabin is equipped with a lot of convenience features and some of them are a powerful air conditioner, advanced music system with quite a few input options, all four power windows with driver side auto down function and several other aspects as well. The exteriors of this compact crossover have been done up with flamboyance and gives it an appealing look. To begin with the frontage, it is designed with a compact radiator grille with a thick chrome slat and a company emblem in the center. This grille is flanked by a stylish headlight cluster, which is powered by high intensity halogen lamps. Just below this, there is a dual tone bumper, which has a black colored perforated air dam with silver accent. It is surrounded with a pair of round shaped fog lamps as well. The windscreen is made of toughened laminated glass and it has been equipped with a set of intermittent wipers. The sleek bonnet has a few visible character lines. Coming to the side profile, it comes with black matte colored body cladding, which gives a distinct look to this crossover. This protective cladding is all around the vehicle, which includes the door side sills, wheel arches and on the both bumpers as well. The pronounced wheel arches are fitted with a modish set of 15 inch 5-spoke light alloy wheels , which are covered with 185/60 R15 sized tubeless radial tyres. Then it has silver plated door handles and external wing mirrors, which are electrically adjustable and integrated with side blinkers. On the other hand, the rear end is designed with a silver accentuated bumper, which has a couple of fog lamps. Apart from these, it also has a large windscreen with a defogger, a bright taillight cluster, rear spoiler with third brake light and a roof mounted antenna that gives it a complete look. The company has given this Volkswagen Cross Polo 1.2 TDI variant a lavish internal cabin, which is made of high quality scratch resistant plastic. It is bestowed with a number of sophisticated features, such as leather wrapped steering wheel, gear shift knob and hand brake lever handle . To start with the seating arrangements, it is quite comfortable and accommodates five passengers with ease. The well cushioned seats are covered with superior 'Livon' titanium black upholstery. The dashboard is made of top quality plastic and other materials, while the instrument cluster is quite elegant with dials, meters and other warning lamps, which are clearly visible. It has a lot of storage spaces, which are bottle and cup holders along with map pockets, a large glove box to keep a few important things at hand, a rear parcel tray and other aspects that adds to the advantage of the passengers. Under the bonnet, this variant is blessed with a 1.2-litre TDI diesel engine, which is integrated with 3-cylinders and 12-valves, while displacing 1196cc . It has the ability to churn out a maximum power of 74bhp at the rate of 4200rpm along with a peak torque of 180Nm at 2000rpm. This diesel power plant is cleverly mated with a five speed manual transmission gear box, which sends the engine power to its front wheels. This crossover can achieve a maximum speed of 164.1 Kmph, which is rather good for this class. At the same time, it can cross the speed barrier of 100 Kmph from a standstill in about 14.4 seconds. This particular trim has been bestowed with a proficient braking and superior handling mechanism that works exceptionally well in all conditions. Its front wheels are fitted with the disc brakes, while the rear wheels have been equipped with drum brakes. This braking mechanism is further enhanced by ABS that prevents locking of wheels and reduces the risks of skidding on slippery roads. It is blessed with an electronic power assisted steering wheel, which is tilt adjustable and makes handling simpler. On the other hand, its front axle has been assembled with McPherson strut type of system along with stabilizer bar, while the rear has been bestowed with semi independent trailing arm type of suspension mechanism. This compact crossover is equipped with a number of refined features, which include heat insulating glass for side and rear windows, climatronic air conditioning system, height adjustable driver's seat, speed sensitive electronic power steering with control buttons and electrically adjustable ORVMs. The multi-information display houses travelling time, distance travelled, digital speed display, average speed along with speed limit warning and fuel efficiency. Apart from these, it also has an advanced RCD 320, 2-DIN music system with Bluetooth connectivity and four speakers. It has a few input options such as USB interface, Aux-in port and SD card slot. The car manufacturer has blessed this Volkswagen Cross Polo 1.2 TDI variant with a number of crucial safety aspects. The list includes front airbags for driver and co-passenger, an electronic engine immobilizer with floating code, front and rear fog lamps, pinch guard safety for all four windows, anti lock braking system and seat belt for all occupants. 2. Lavish internal cabin with lots of comfort features.